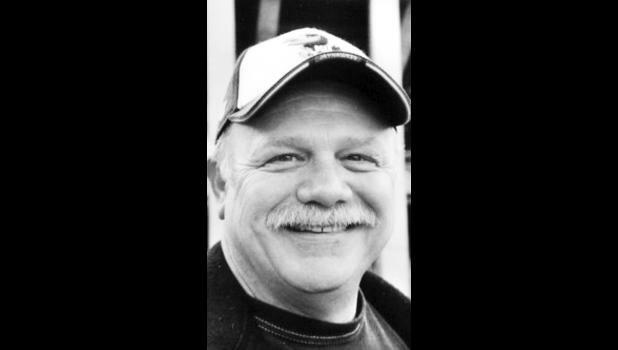 Mark Ancil Perry, 66, of Soldier, passed away unexpectedly Friday, Aug. 10, 2018, at his home. He was born May 14, 1952, in Great Bend, the son of Ancil C. and Marvella A. (Kruckenberg) Perry. Mark graduated from Great Bend High School in 1971. He had lived in the Soldier community since 1978. Mark worked for Jeffery Energy Center as a Control Room Operator, retiring after 36 years. Mark was an avid sports fan and especially loved watching his grandchildren compete and all things involving KU Jayhawks. He enjoyed playing games, he was a “Jokester” and was notorious for calling his friends and loved ones on their birthday-to make them feel special. He married Charlotte “Shari” Gilliland on Sept. 16, 1972 in Great Bend. She was the love of his life and they shared more than 45 years of a wonderful and adventurous marriage. Survivors include his wife, Shari Perry, of the home; three daughters, Misti Lundin (Steve) of Rossville, Paige Brown (Jesse) of Maple Hill and Ember Perry of Phoenix, Ariz.; a sister, Diana Amon of Lewis; and five grandchildren, Kinlyn and Kyser Lundin and Calvan, Adalynn and Trexton Mark Brown. He was preceded in death by his parents, Ancil and Marvella Perry; a son, Trenton Mark Perry, in 1979; and a brother, E. Dale Perry. Funeral services will be held at 10 a.m. Saturday, Aug. 18, 2018 at Mercer Funeral Home in Holton. Burial will follow in Holton Cemetery. Family will greet friends from 5 p.m. to 7 p.m. Friday at the funeral home.